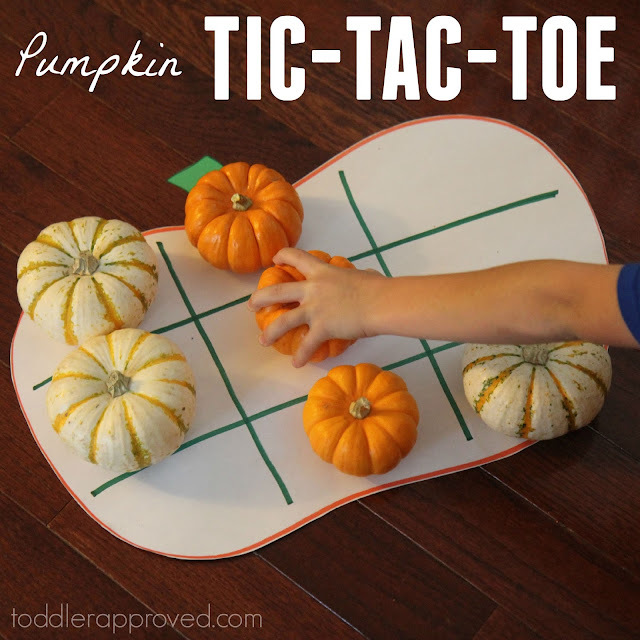 Pumpkins are so fun for kids to manipulate and play with... especially the small pumpkins that can fit in their hands easily! Yesterday we shared a simple pumpkin sun catcher craft and today we have a fun pumpkin game to tell you about. 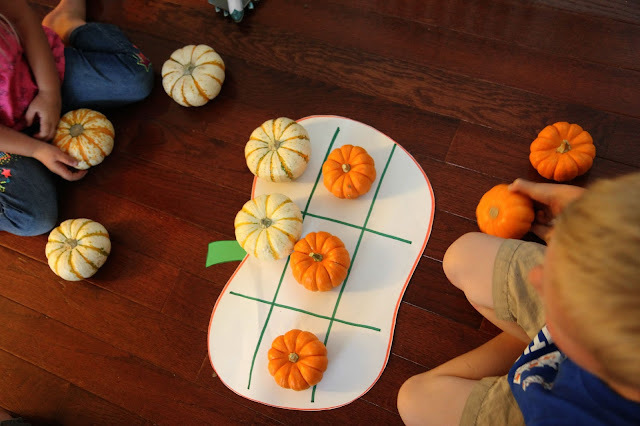 Pumpkin Tic-Tac-Toe has been a favorite game at our house for awhile because it is so simple and it is a great way to help kids learn basic turn taking skills! Make a paper pumpkin board out of easel paper and cut it out. 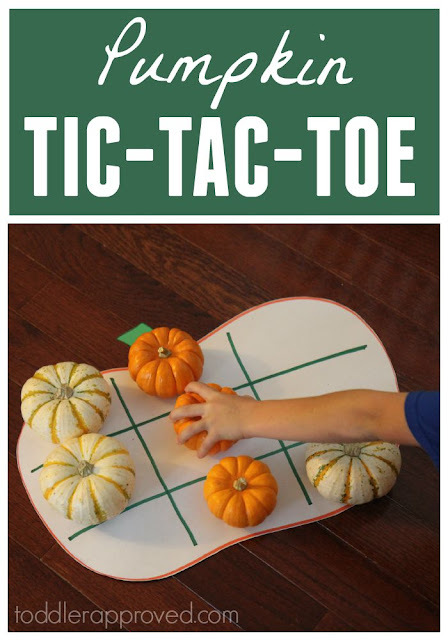 Add a stem and draw some lines to make a tic tac toe board. Easy peasy! Using white and orange pumpkins, take turns placing pumpkins in the squares. Whoever gets three in a row first WINS! With littler ones we like to play this game in teams. Not only does this game allow kids to work on turn taking skills, but they also have to try and predict and problem solve while they play too! Check out more of our favorite Halloween activities to get kids moving in our 31 Days for an Active October post!